High courts are cracking the whip on the air pollution health crisis plaguing major European cities - leading to extensive diesel bans and the introduction of clean air zones across Britain, France and Germany. The highest federal court in Germany has announced that two of the most polluted cities - Stuttgart and Duesseldorf - could legally ban older, more polluting diesel cars from zones worst affected by pollution. While new Euro6 diesels won't be affected, the decision is likely to have far-reaching consequences across Europe - with the German ruling setting a precedent. With confusion already surrounding city bans and the expectation of an increase in tax on diesel cars, the decline shows no signs of slowing. Last month diesel sales fell by over 25 per cent compared to January 2017 in the UK and further declines are expected as more and more buyers delay their purchases or swap to petrol. The landmark ruling came after German states, Baden-Württemberg and North Rhine-Westphalia, attempted to appeal against the bans, which were brought by environmental groups after 70 German cities exceeded European Union nitrogen oxide (NOx) levels limits in 2017. The ruling also means millions of drivers could be forced to leave their cars at home on days when harmful emissions are particularly high. >> What is the new car sales crash and what does it mean for buyers? The UK's high court has similarly ruled that the British Government must implement stricter measures to address air pollution, saying that current plans are both insufficient and "seriously flawed". Effectively, this means the courts will have the final say on whether the Government's actions meet its obligations on air pollution under UK and EU law. The court previously heard that, eight years after the UK was found to be in breach of legal limits on the pollutant, levels were still too high in 37 out of 43 zones across the country. 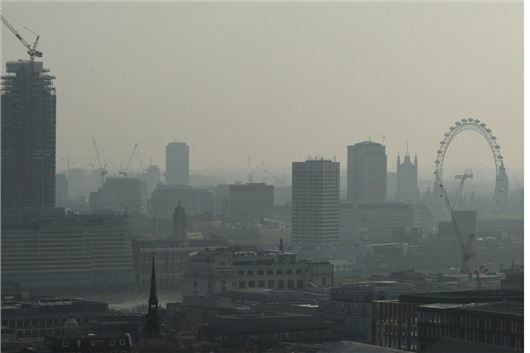 Measures such as the London T-charge, ULEZ and clean air zones in Britain's most polluted cities have been welcomed by environmental campaigners, but the Government's commitments on clean air are still continuously breached. Oxford City Council has pledged to ban all petrol and diesels vehicles from the city centre under plans to bring in the world's first zero-emissions zone. Other schemes being considered to support the zone include reduced parking fees for electric vehicles, electric taxi-only ranks, and electric delivery vehicle-only loading areas. Oxford's plan would begin by preventing non-zero-emitting taxis, cars, light commercial vehicles and buses from using a small number of streets in 2020. As vehicle technology develops, the zero-emissions zone will extend to cover all non-electric vehicles, including HGVs, in the whole of the city centre by 2035. In France, traffic restrictions based on the Crit’Air badge can be declared throughout the entire Department of Drôme during peak pollution periods. In the near future, older diesels will be banned entirely from driving in French city centres. Does anyone know what they are talking about. we seem to be jumping from knee jerk reaction to knee jerk reaction. And since diesel is so much cleaner than before, environmental regulators should increasingly shift their focus to dirtier gasoline-powered cars and other sources of air pollution, says the UdeM scientist, Patrick Hayes. "Diesel has a bad reputation because you can see the pollution, but it's actually the invisible pollution that comes from gasoline in cars that's worse," said Hayes, 36, an assistant professor at UdeM. "The next step should be to focus on gasoline or removing old diesel vehicles from the road. Modern diesel vehicles have adopted new standards and are now very clean, so attention needs to now turn to regulating on-road and off-road gasoline engines more. That's really the next target." The study, led by researchers in Switzerland and Norway with help from Hayes and colleagues in Italy, France and the U.S., looked at carbonaceous particulate matter (PM) emitted from the tailpipes of cars. A new study led by Empa scientists finds that some direct-injection gasoline engines emit just as many soot particles as unfiltered diesel cars did in the past. Particle filters can remedy this. I believe from 2020 VW will be fitting filters to all their petrol cars, seems it's not all down to diesel.